Celebrating over two decades in the game, Hamilton returns with two furiously uncompromising slabs of bass. Yet again, Hamilton proves his production prowess, adding to his already impressive discography on Ram. 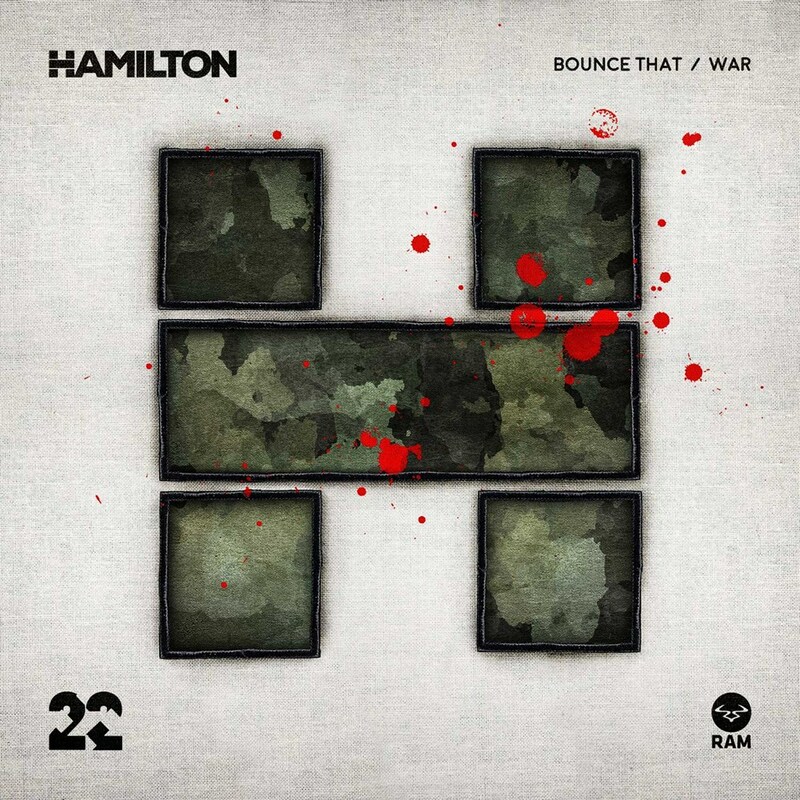 Up first is 'Bounce That', pushing through with an electrical energy and a refusal to sit in any given subgenre, a war cry signposting his arrival, Hamilton has created a dancefloor call to arms which packs a punch with every drop. On top of raw mechanical momentum, it's a sound driven rollercoaster, proving the perfect way to demonstrate his new era of production. On the flipside, 'War' takes you into a murkier realm. Zipping lazers amongst industrial drums and vibrating basslines take you deeper into a deeper space, creating atmospherics which totally envelop you. Prodding stabs further add to the unrelenting composition, with female vocals slipping wryly between each segment. Once again, this sees Hamilton further adding to his skill set, whilst still playing homage to his roots. A glowing example of the producer's journey, and one which is beginning to pick up momentum. Despite a short hiatus, he's back and proving more formidable than ever with his major LP project '22', this is not the last you'll hear from Hamilton in the coming future!